Coolpad Note 3 Lite was launched in India in January this year and went on sale on 28th January. The customers needed to register their names for purchasing the device. However it is now available without registrations. The device is available for Rs. 6,999. 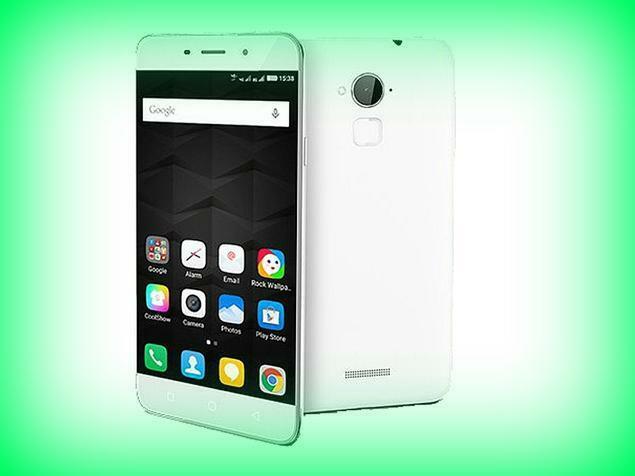 New Delhi: Coolpad Note 3 Lite comes with 5 inch display with resolution 720 x 1280 pixels. The handset is powered by a quad core MediaTek MT6735 processor whose clock speed is 1.3 GHz. The processor is paired with 3 GB RAM and the internal storage is 16 GB. Memory can be expanded up to 64 GB via micro SD. It comes equipped with 13 megapixel primary camera with flash and there is also 5 megapixel camera at front on board. It runs on Android 5.1 Lollipop operating system. The handset supports WiFI, GPS, Bluetooth, 4G LTE. Other features are 3.5 mm headphones, dual SIM. It also features proximity, ambient light, accelerometer and compass sensors. Battery under the hood is 2500 mAh capacity. Customers can now purchase Coolpad Note 3 Lite from Amazon India in open sales. It is available now at the e-commerce site with free delivery and cash on delivery options. It is available on EMI also that starts from Rs. 625.13. It is available on Amazon in black color. This entry was posted in Buy Gadgets, Launches, Tech on March 22, 2016 by Rakesh.